The first time I tasted Lupe's Mexican tortilla soup, I almost burst into song. How could soup be so satisfying? 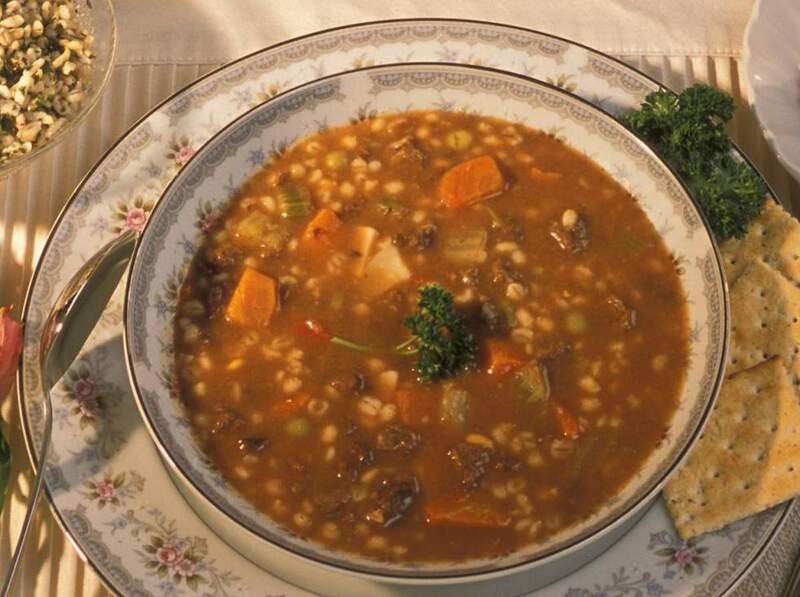 Thick, warming, and more akin to a stew, it burst with flavor. Her secret? Aside from fresh ingredients and good quality stock, the key is in the seasoning. High-quality chili powder, or dried chile peppers, put this tortilla soup in a league of its own. You'll find more information on choosing chiles and chili powder in the tips section and at the bottom of the page. 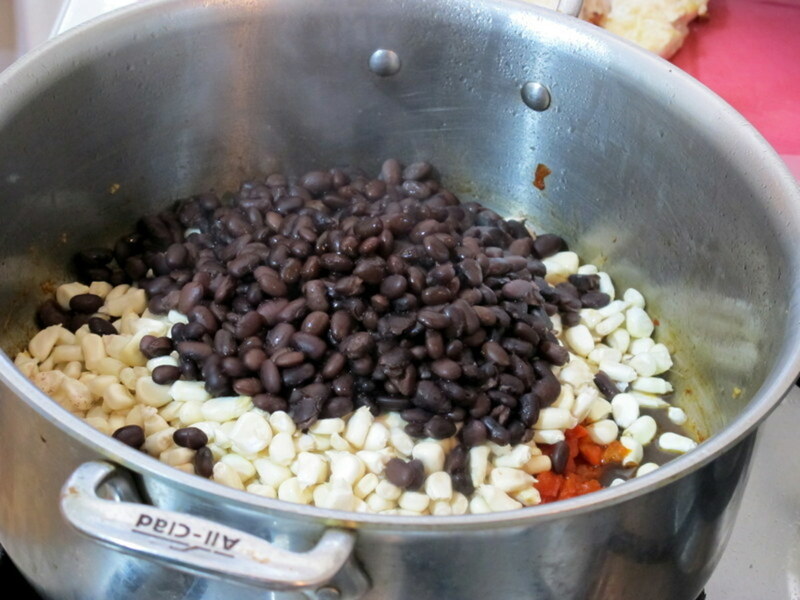 This decadent dish will scent your home with the fragrance of Mexican spices, satisfy your appetite with wholesome ingredients like black beans, sweet corn, and red peppers, and leave you and your guests clamoring for more. It can even be made with leftover turkey, offering a welcome reprieve from typical holiday fare. Best of all, this soup only improves as it rests. It's the perfect make-ahead meal—it even freezes well, too. We often throw together a pot at the beginning of the week and enjoy it for 3 or 4 days in a row. Switch up the toppings and serve it with cornbread or warmed corn tortillas. Add some green chiles on the second day to give it a Southwestern twist. If you are short on time, you can speed up this recipe by using store-bought chili powder and chicken stock. Either way, we guarantee this is the tastiest tortilla soup that will ever touch your lips! Use homemade stock. This soup is most delicious when made with homemade chicken or turkey stock. You can find a recipe for this below. If you're in a hurry, purchase good quality chicken broth at your local grocery store. Try to avoid mixing frozen and canned items. In the United States, try two 14-ounce bags of frozen Southwest vegetable mix with black beans and corn instead of frozen corn and canned beans. 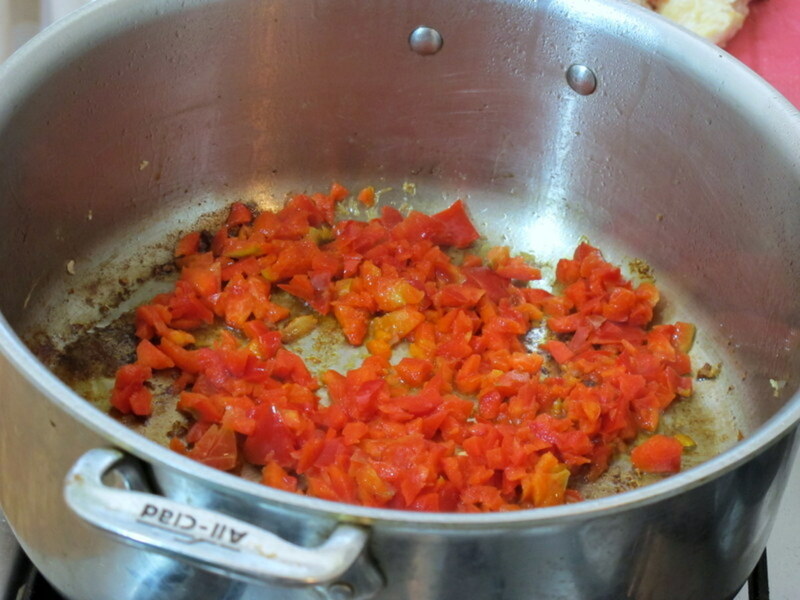 Omit the red bell pepper, and use one green bell pepper only. The chiles make or break this dish. The key to really flavorful soup is high-quality chili powder or dried chiles. See the "Choose the Right Chiles" section. 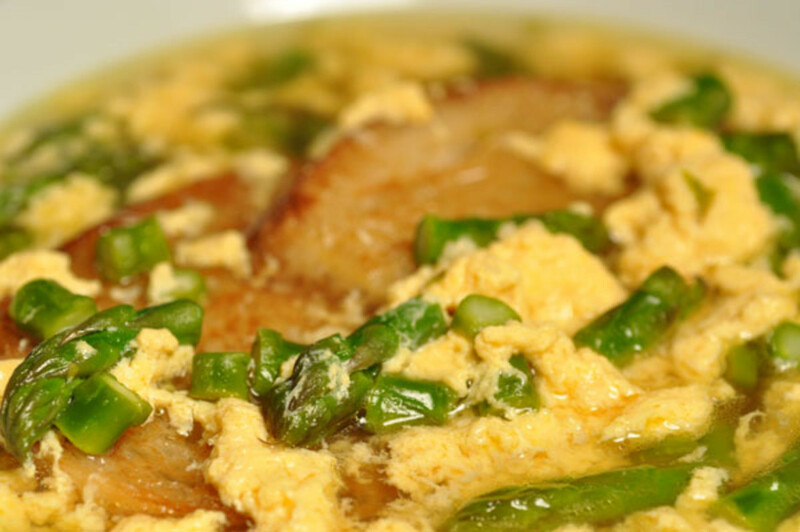 Track down the masa harina. You can find masa harina (a traditional Mexican corn-flour) on the ethnic aisle of your grocery store. If you don't want to use the masa harina or corn flour, dice six corn tortillas and add them to the soup with the veggies. The soup will thicken as the corn tortillas break down. Let it marinate. This soup is best if made several hours ahead of time, so flavors can marry. Avoid using stringy chicken. If serving the soup to guests, I don't add the stringy chicken left from making stock and reserve it for another use. Go low-fat. For lower-fat soup, substitute milk or half-n-half for the cream. Ditch the milk. If lactose-intolerance is an issue, omit the cream or milk. Not spicy, but flavorful. For a mild version, choose ancho or New Mexico chili powder, which is low on the Scoville scale. Just a hint of heat. For a medium-spicy version, add 1 tablespoon of chipotle chili powder. Make it like they do in the Southwest. Add one 4-ounce can of diced fire-roasted hatch green chiles (drained) or omit the diced tomatoes and substitute for two 10-ounce cans Rotel mild diced tomato & green chiles, drained. Go for pozole. 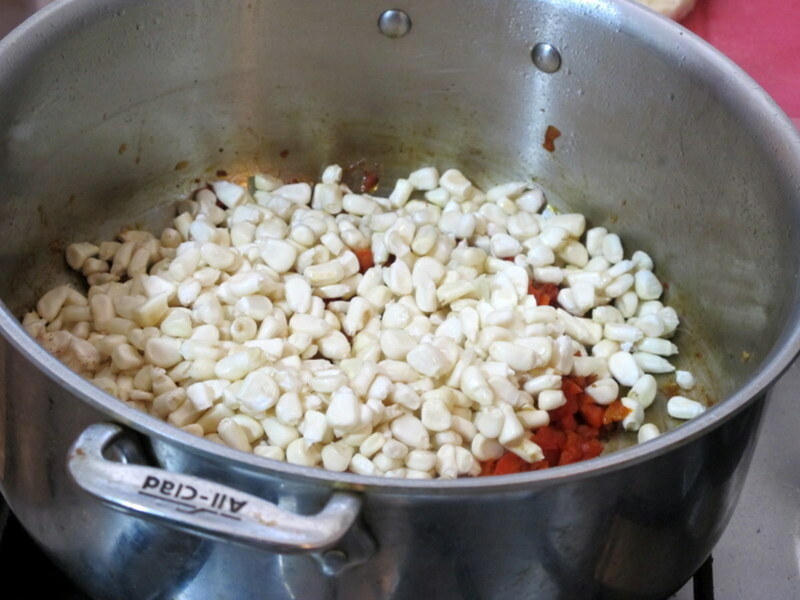 Substitute canned hominy (which is essentially dried corn) for the sweet corn for a flavor more akin to Mexican pozole. Bring on the accoutrements! Serve with Mexican guacamole appetizer and Tex-Mex margaritas for a special treat. 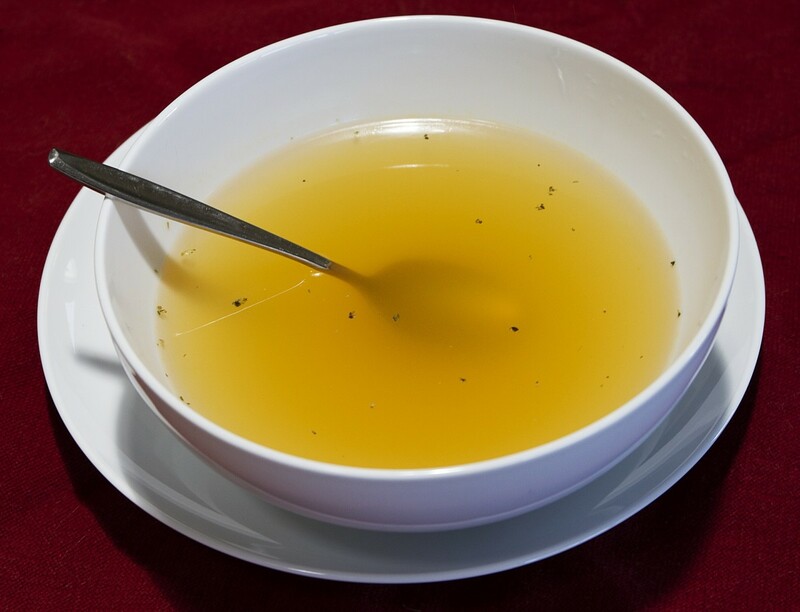 Drizzle one tablespoon of olive or vegetable oil into a large stock pot on medium heat. Rinse, dry, and salt the chicken breasts. Saute them until cooked through. Take pot off the heat. 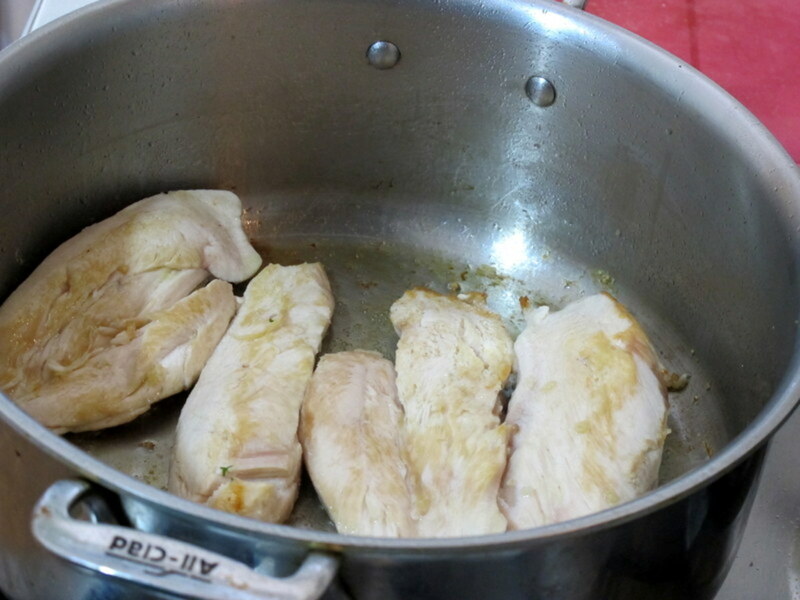 Remove chicken breasts from pot and set aside to cool. Add one more tablespoon of oil. Saute the red and green bell peppers and garlic, scraping up brown bits left from chicken. Add spices and saute 5 minutes longer. Pour one cup of chicken broth into a blender container. Add 1/2 cup corn flour or masa harina and blend thoroughly. 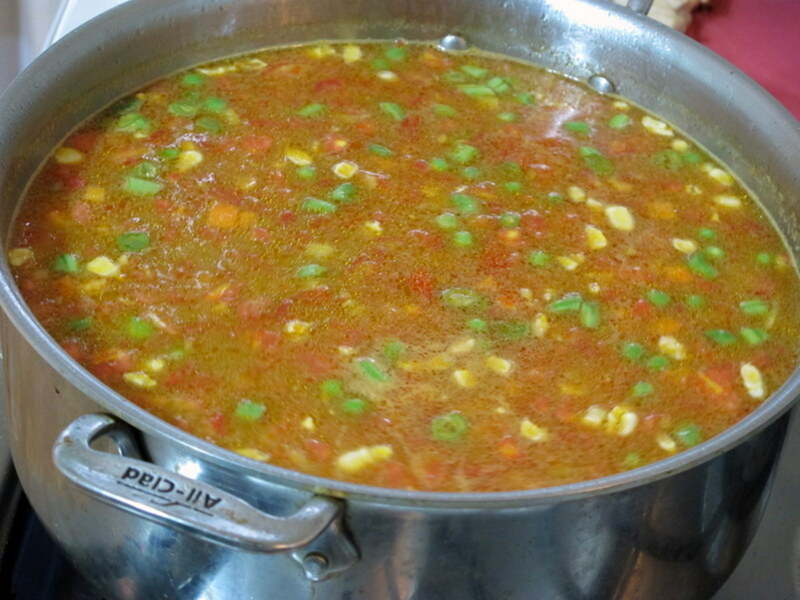 Pour all broth, including broth and corn flour mixture, into the stock pot with vegetables. Stir with a spatula or spoon. 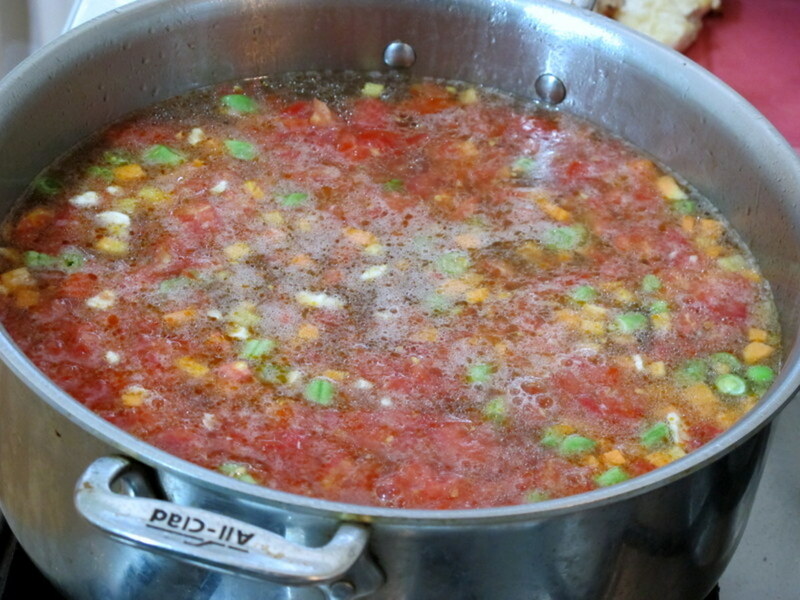 Simmer over medium-low heat for 30-40 minutes, or until vegetables are tender. Chop or shred the chicken breasts. Add cream and chicken breasts to soup, and simmer on low for 10 more minutes. At this point, you can add the reserved chicken from the homemade stock, if desired. Saute chicken breasts and set aside. Saute red and green bell peppers. Add spices during last 5 minutes of cooking. Offer some of these garnishes for your hungry guests. Wash chicken and remove skin, if desired. 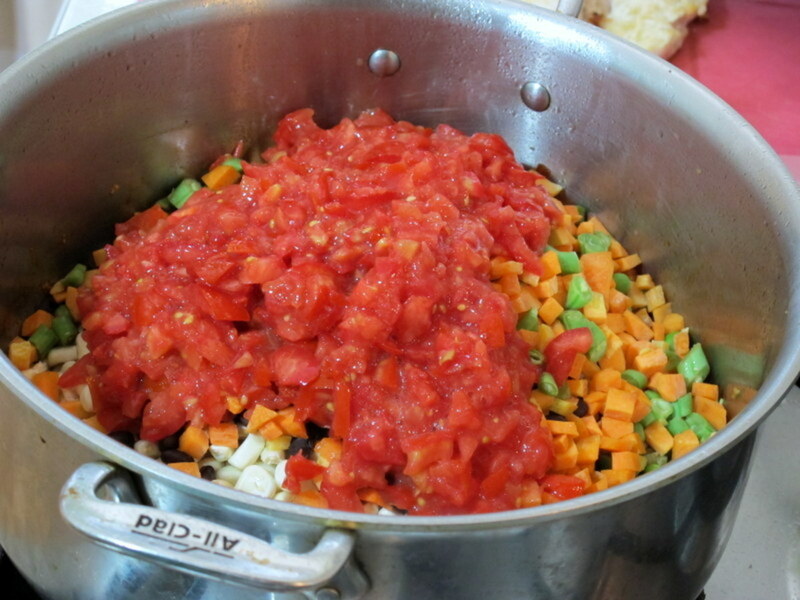 Place ingredients in a large stock pot. Simmer over medium-low heat for 20-30 minutes, or until chicken falls off the bone. Strain broth and reserve the chicken. You should have about 10 cups of stock. If not, add enough water to equal 10 cups. For the most flavorful tortilla soup you've ever tasted, it's important to purchase good-quality chili powder or dried chiles so that you can make your own powder. Powder: If you prefer chili powder, try 1/2 tablespoon chipotle chili powder, 1/2 tablespoon New Mexico chili powder, and 1 tablespoon ancho chili powder for a mildly spicy tortilla soup. Increase the amount of chipotle chili powder for a spicier soup. 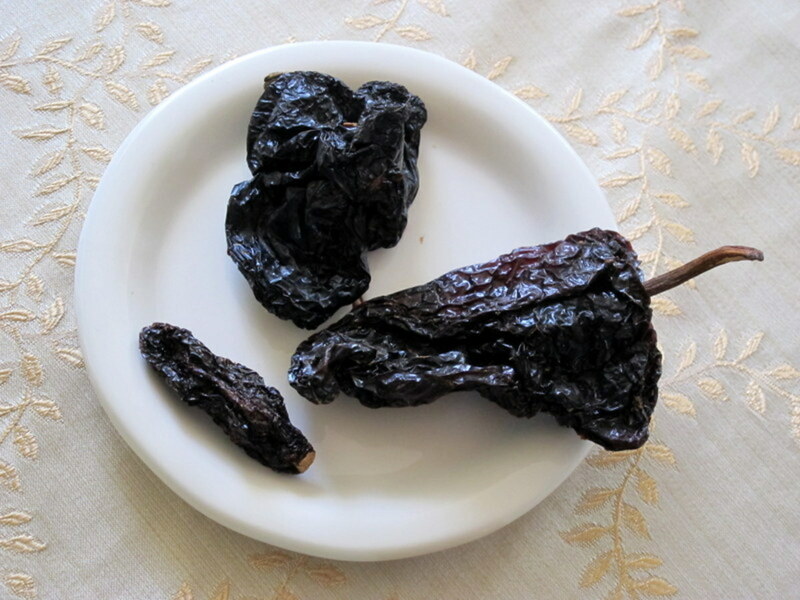 Whole Chiles: If you'd like to use whole dried chiles instead of chili powder, we highly recommend Pasilla, Ancho, and Mulato chiles. Considered the "holy trinity" of Mexican chiles, they produce unforgettable, low-spice tortilla soup. Chipotle chiles add spice and complex smoky flavor to the soup. And if you'd still like more info, check out the Scoville chart in Sweet & Smoky Mexican Mole. The Scoville chart measures how spicy chiles are, and this can help make sure that you don't end up with a soup that's too spicy! You'll need to dry toast and rehydrate the dried chiles that you bought so that you can bring out the maximum flavor. Do this in a skillet, watching them carefully so they don't burn. Soak chiles in hot water for 15-20 minutes. Throw away the soaking water. Remove the stem and seeds. Toss the chiles into the blender container you used in step three of the recipe, along with masa harina and one cup of broth. Blend well and proceed with the recipe. If you've just roasted a turkey, don't throw away that carcass! Turkey bones make great stock for tortilla soup. Remove any meat or skin from the turkey carcass. Reserve the meat for your soup. Break up the turkey carcass so that it fits in the stock pot. See above section "How to Make Chicken Stock." Substitute the chicken for turkey and follow instructions to make broth. Reduce salt to 1 teaspoon if the turkey has been brined. Simmer gently so the broth doesn't turn cloudy. Use turkey broth in place of chicken broth in recipe. If you don't have turkey broth, buy chicken broth from your local grocery store. 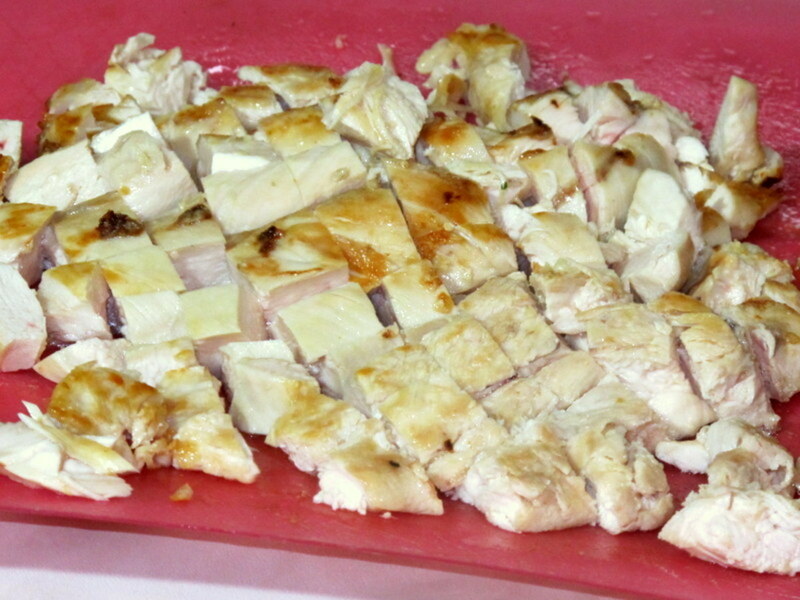 Chop leftover turkey (2-3 cups) and add to soup in place of chicken breast meat. Purchase good vegetable broth or make your own stock. 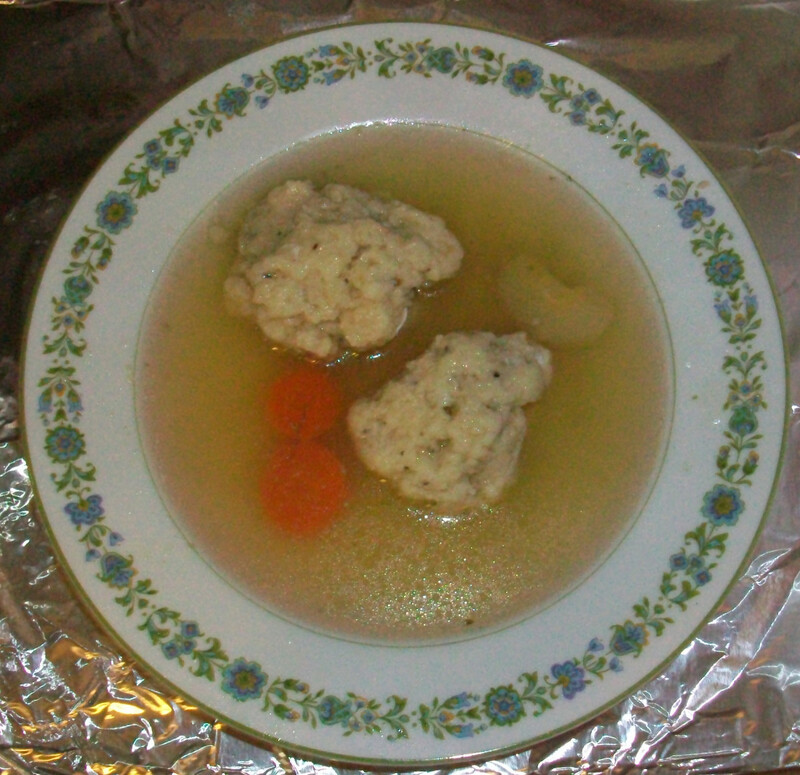 Follow the regular recipe, replacing chicken stock with vegetable stock. 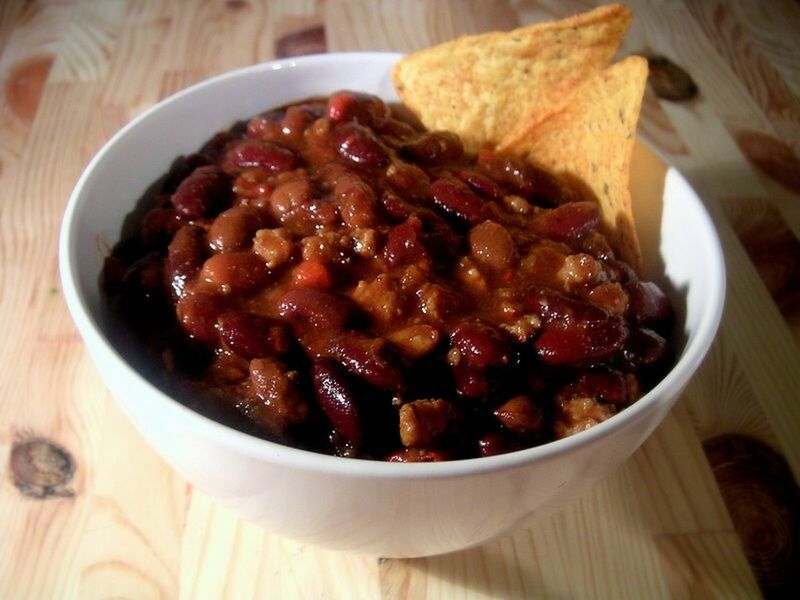 Try 1 Tablespoon of chipotle chili powder and 2 tablespoons of ancho for depth of flavor. Substitute 2 cups of kidney beans for the chopped chicken meat. Do You Make Tortilla Soup? GetitScene, this is the best tortilla soup you'll ever taste! Enjoy! My wife is crazy for tortilla soup so this is going in the recipe book for sure. faythef, I'm glad you're going to try this hearty and delicious chicken soup recipe. Enjoy and thanks for the vote! Mmmm I love tortilla soup...I will be trying this recipe for sure..voted up. ologsinquito, thank you for the comment and pin! I hope you can try this tortilla soup sometime. Moonlake, thanks for the tweet! Moonlake, this is my husband's favorite soup. Our weather has turned cold and he's asking for a pot of it today! Thank you for the comment and pin. Enjoy your Sunday. This sounds delicious and easy enough to make. I'm going to pin it on my Pinterest food and recipe board. I guess I already pinned it so I will tweet it instead. Pinning this and sharing it. It will be my first pin on my soup board. I am so great that I found this hub. 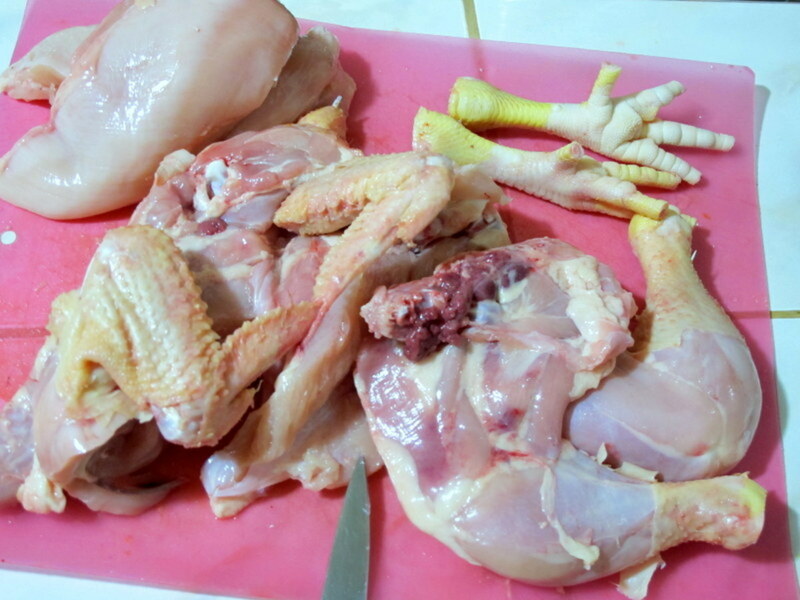 Now I got another idea on how to cook the chicken meat. I am going to share this with my friends. Great Recipe indeed! prasetio, I'm glad you enjoyed reading--this is our favorite soup by far. I hope you have a chance to try it sometime. Thanks for the vote! I love the recipe here. Chicken is my favorite. Just looking at the pictures makes me hungry. It sound delicious. Thanks for share with us. Voted up! rebeccamealey, I so agree that the seasoning is the key to most foods. This is one of our favorites because it's healthy and hearty. And like you say, it's thicker than some soup. I hope you have a chance to try it sometime! sgbrown, this is the perfect Mexican comfort food! I hope you have a chance to try it sometime--it's our favorite soup. Yes, please link to your Hub. I'll be over to check it out. : ) Thanks so much for the comment and votes. This looks like a delicious and healthy soup. I like my soups thick. My mouth is watering. I too, have often found that the seasoning in something is really what makes it! ComfortB, it really is a delicious soup. Thanks for your comment! Nice recipe. Looks really good. Thanks for sharing! Lindacee, I'm glad you're adding this soup to your repertoire. Chicken tortilla soup is also one of our favorites. As long as you use the good quality dried chiles, the store bought stock will be just fine. I wish we had that option here in Peru! : ) Thanks for the votes and share. I absolutely love chicken tortilla soup any time of the year. I will certainly be adding your yummy recipe to my repertoire! Forgive me if I use store bought chicken stock, though! ;) Voted up, useful, awesome, interesting...and shared. pstraubie, please let me know what you think of the soup. It's one of our favorites and the dried chiles give it authentic flavor. Enjoy and thanks for your support! Soup is a meal that I enjoy probably as much as any other. 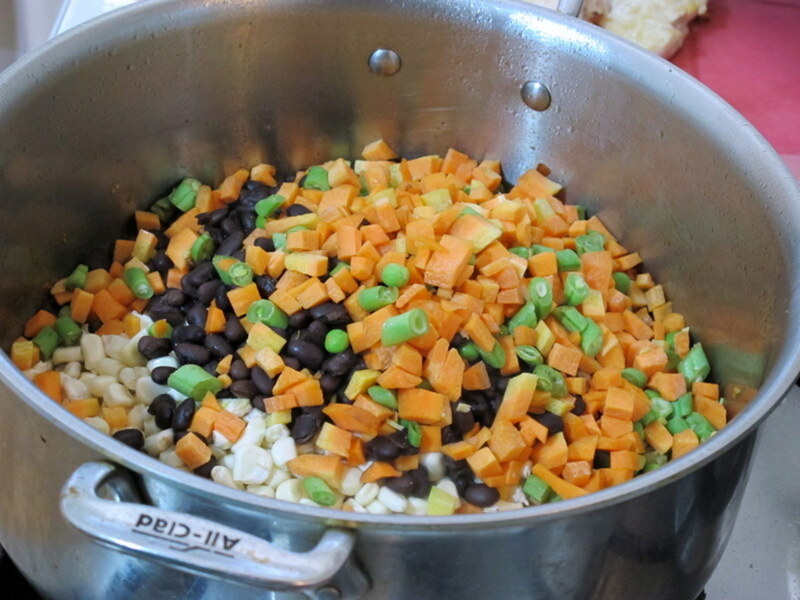 This is a soup that I am bookmarking to add to my recipe files. The variations you have included make it even more appealing. Thanks for sharing this with us. Missy Mac, I hope you enjoy this soup. It's my husband's absolute favorite and has complex flavors, almost like pozole. Thanks for coming by! I love this recipe. I enjoy making soups, which I make weekly. This will be on my menu this week. Thanks for sharing. tammyswallow, it really isn't hard to make tortilla soup at home and it's delicious and nutritious. I appreciate the share and comment! You always make me sooo hungry! I love this soup but I haven't tried it at home yet. Looks wonderful! Your photos are awesome to. Sharing! Unknown spy, it's so worth the effort to whip up a batch of homemade soup.Enjoy! PegCole, thanks for the kind words! It really is a special, satisfying soup. Enjoy! This looks fabulous. What a wonderful collection of photos and easy to follow instructions. Amazing. PeggyW, enjoy the soup. It's so flavorful and filling, you really don't need to serve anything else with it. We love making a big pot and enjoying it for several days in a row. It gets better every day! Thanks so much for the vote and share. Oh my! This looks and sounds delicious!!! I love making homemade soups and will have to follow this recipe in the near future. Gave this another 5 stars and some up votes. Will also share. Bettoverstreet, enjoy! It really is a wonderful soup and so comforting any time of year. Thanks for coming by. Om Paramapoonya, thanks so much for the pin, votes and comment. 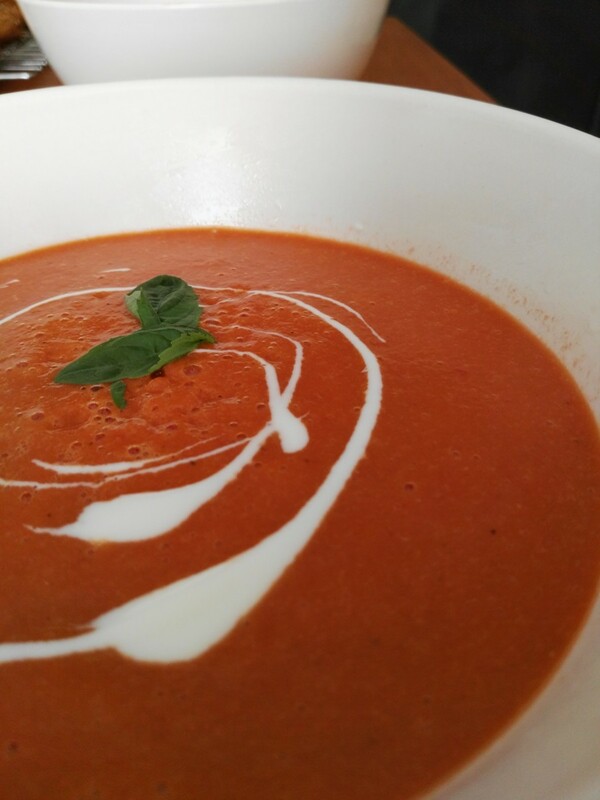 This is a wonderful soup and I hope you can try it soon! Wow, your opening picture looks insanely good. I've never made my own tortilla soup before and would love to give this recipe a try. Rated five stars and pinned! GoodLady, thank you for the pin and share! Enjoy the soup. It's my husband's favorite and a great way to warm up on a cold day. Moonlake, I hope you can try it! Tortilla soup is also a great way to use up that turkey carcass and leftover meat! It's just divine. Home made broth and all those beautiful ingredients. It's a wonderful hub. I can't wait to make it. Everyone will just love it in our home. Your photograph with the avocado garnish is beautiful. Pinning sharing and voting. Your soup sounds delicious. We love soup. Voted up, shared and pinned. Alocsin, I'm glad you mentioned brown-bagging. You could warm it in the microwave at the office or fill up a wide-mouth thermos with tortilla soup. Enjoy! Thanks for the votes. Randomcreative, the universe must be trying to tell you something. 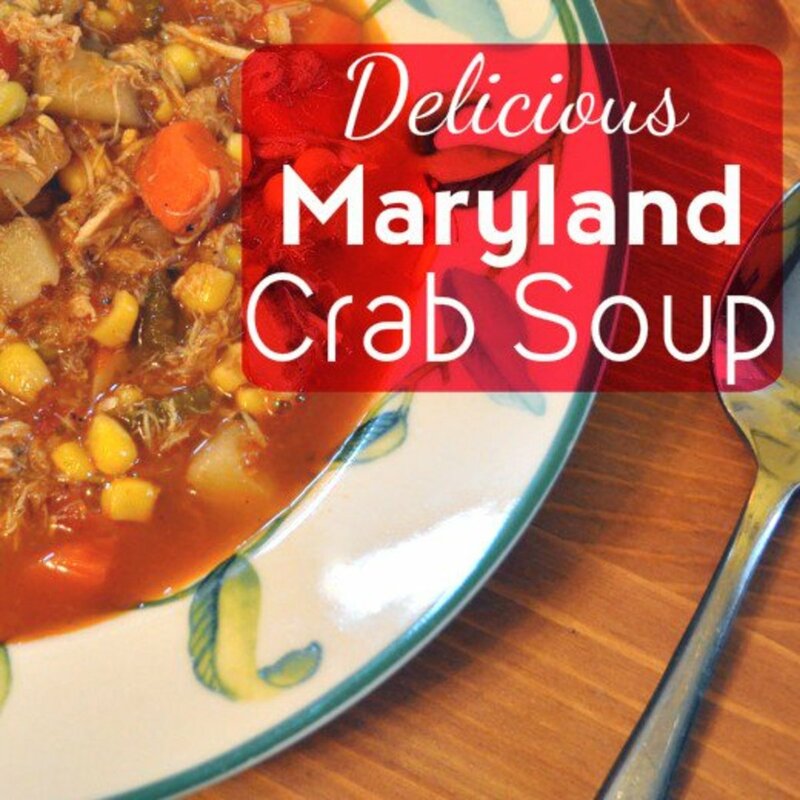 : ) Yes, it's definitely a recipe worth adding to your cold-weather comfort food repetoire. Thanks for coming by! 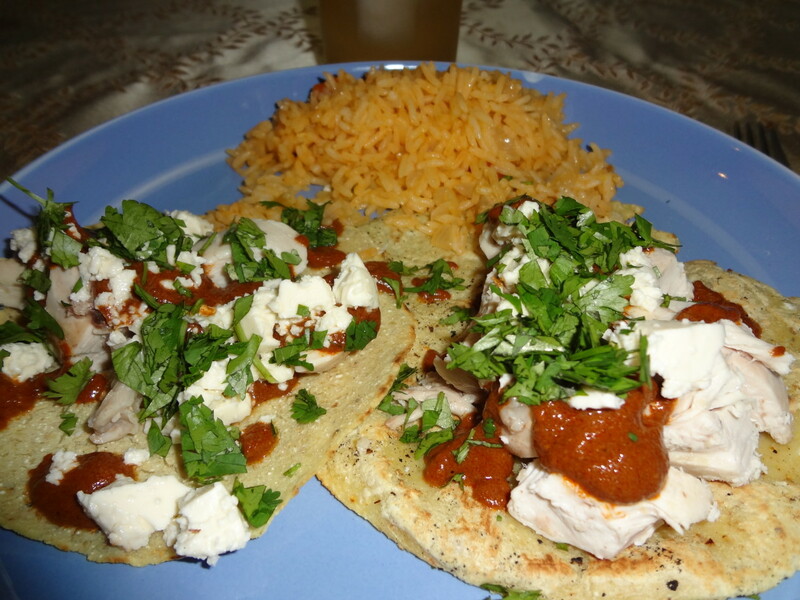 This combines some of my favorite foods: chicken, tortillas and beans. I like how this improves with age, so it's excellent for brown-bagging. Voting this Up and Useful. I keep coming across chicken tortilla soup recipes! I really need to give it a try sometime. This is a perfect choice for cooler weather. Thanks for sharing another great dish. Sgbrown, this really is a wonderful soup and all the vegetables are so tasty. Enjoy! Thanks for the vote and comment! CrystalTatum, I'm glad you brought up the subject! Yes, you can make a basic vegetable stock such as this one: http://allrecipes.com/Recipe/Basic-Vegetable-Stock... or buy a good vegetable stock. I really recommend using the whole dried chiles: 2 ancho, 1 New Mexico and 1-2 chipotles (depending on the spice level you like). Instead of the chicken chunks, try 2 cups of kidney beans. Enjoy! Please let me know how it goes. I wonder if I could make a vegetarian version of this? It sounds so yummy! Turtlewoman, it's nice to see you back! Sometimes we need a break or we have no choice...I was away for about six weeks as well. I look forward to seeing more work from you! I've always enjoyed your recipes. As a Texan, Wesman Todd Shaw, I'm sure you can appreciate good Mexican food! Thank you for your kind words. I'm glad you like the photos and recipe! Hi vespa, I took a bit of a break from HP so I haven't had a chance to read your hubs. It's nice to come back to such a hearty soup recipe from you. I love chicken tortilla soup and have tried a couple of versions. I'll definitely be trying out your version soon. Thanks! You have provided a terrific photo document/recipe here. I really want to say....your photos are terrific! The only thing I have to say to Mexican food is, "Yes...may I have more?" Awesome, up, shared and pinned. This looks absolutely delicious (except for the chicken's feet, sorry) and nothing is better on a cold winter's night than soup. I have a freezer full of leftover turkey and will be trying this! Thanks. Cashmere, it really is easy. Enjoy! Thank you for coming by. I'm glad you enjoyed this hub, Jackie Lynnley! It really is a special soup that will warm you up on the coldest day of winter. Thanks so much for the vote and share, too. This has made me so hungry! lol I believe you are a terrific cook. All your recipes sound so good. Up and sharing. Shai77, I hope you enjoy the soup! It really is the perfect cold-weather comfort food. Thank you for taking the time to read and comment. Shai77, thanks so much for the vote and comment! Enjoy the soup. It really is a delicious one. Carol, you're right about the detailed instructions! I want to make sure everyone can repeat the recipe at home with the same results. 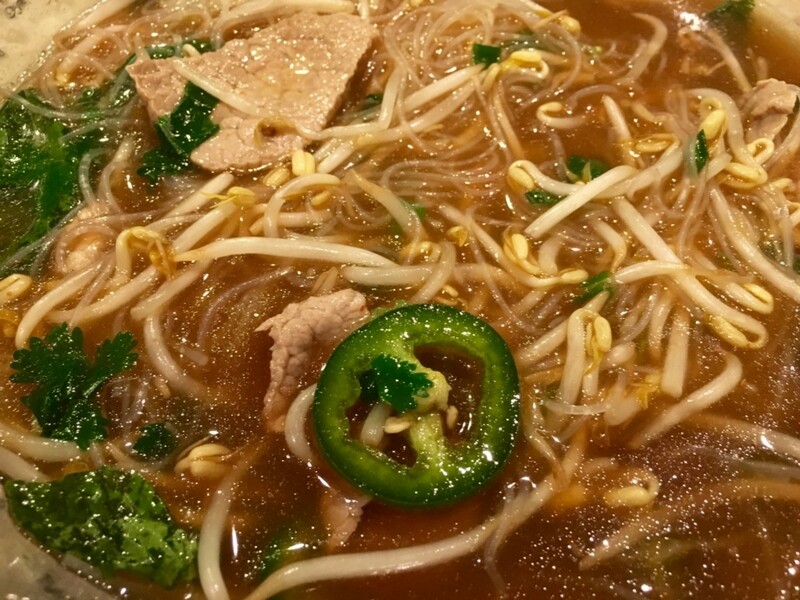 It really is a delicious soup and one our friends request frequently. Thank you for commenting. Maheshpatwal, the Chipotle chili powder makes this a nice, spicy soup. I hope you can try it sometime, although I wonder how easy it would be to find Mexican spices in Mumbai! Thank you for coming by. Letitia, it's nice to hear from you! If you can't find masa harina, I'm sure you have corn flour there in Paris. That's what we use and it works just fine. Thanks so much for the comment, pin and votes! Wow, this looks delicious and very hearty & heartwarming on a cold winter night. I can't wait to try it... even with the homemade stock. Great job, great instructions, and beautiful pictures. VU & useful, thanks for the great work! When you write a recipe you leave nothing to chance. This is great for those who need detailed instructions. The soup looks delicious. Thanks for sharing. Voting UP. Vespa... Delicious and mouthwatering soup. My knowledge about mexican food is only limited to its spicy taste. 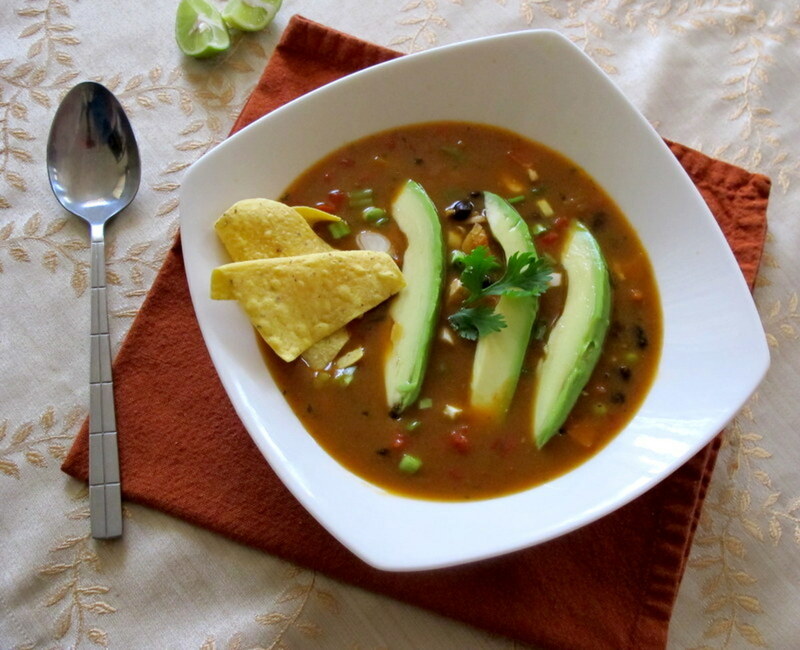 Very nice hub with detailed recipe of how to make mexican tortilla soup.. Gypsy, I'm glad you enjoyed the recipe lay out. It's a wonderful soup and I hope you can try it some time! Just Ask Susan, Thanks for coming by! It really is delicious. Enjoy. You're welcome, btrbell. Enjoy! It really warms you up on a cold day. Oh My! This sounds so good. Can't wait to try this.